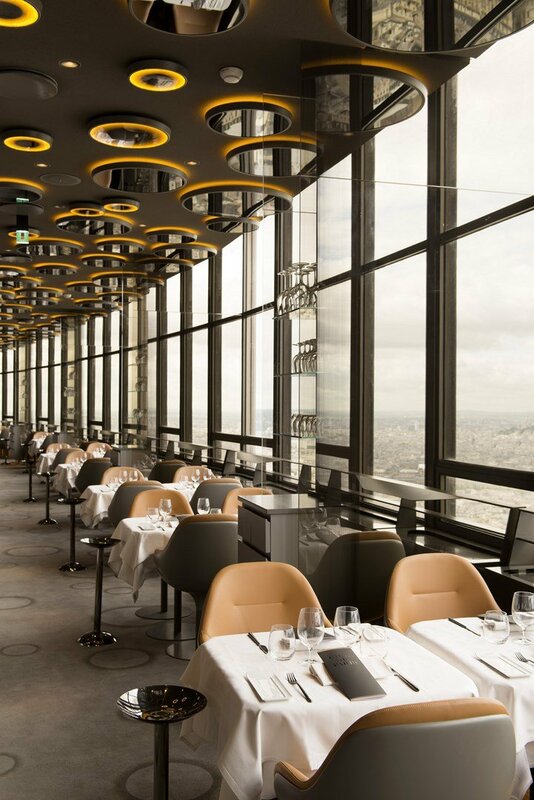 It is on the 56th floor of Tour Montparnasse, 200 meters up in the sky, that this restaurant has settled for unique and unforgettable experience. The panoramic view overlooking Paris is simply amazing! For each season and at every hour of the day, the most beautiful city in the world unfolds in front of you, offering its rooftops, monuments and buildings. 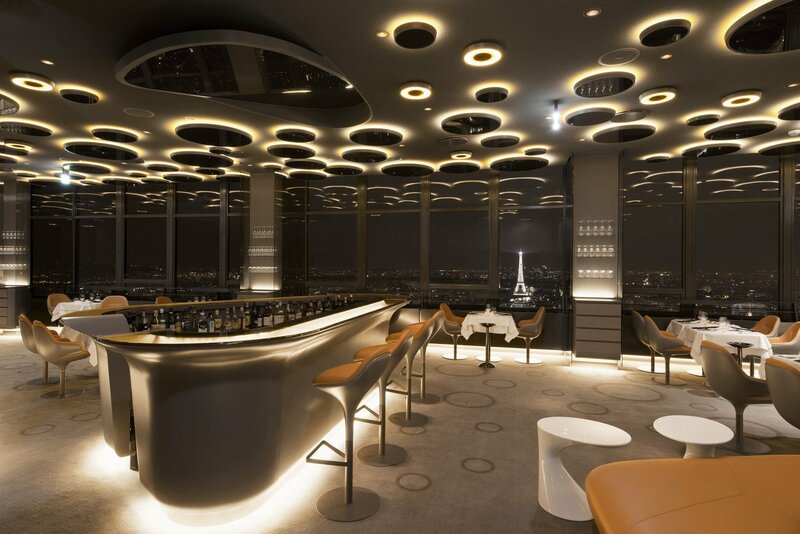 Architect Noé Duchaufour-Lawrance imagined the décor here just like that of a chic and sparkling dining room hanging up in the air, allowing you to see Paris from a different perspective. Designer touches, elegance and sobriety are at a perfect balance here, creating a vaporous continuity with the outside. Time seems to have stopped, letting the luxury and beauty of the city of lights take over! This is a privileged establishment, to be shared for all occasions, leaving you with an unforgettable memory. Between land and sea, flavours and scents are exquisite, senses dazzled. A welcome tour, full of fantasy and creativity. 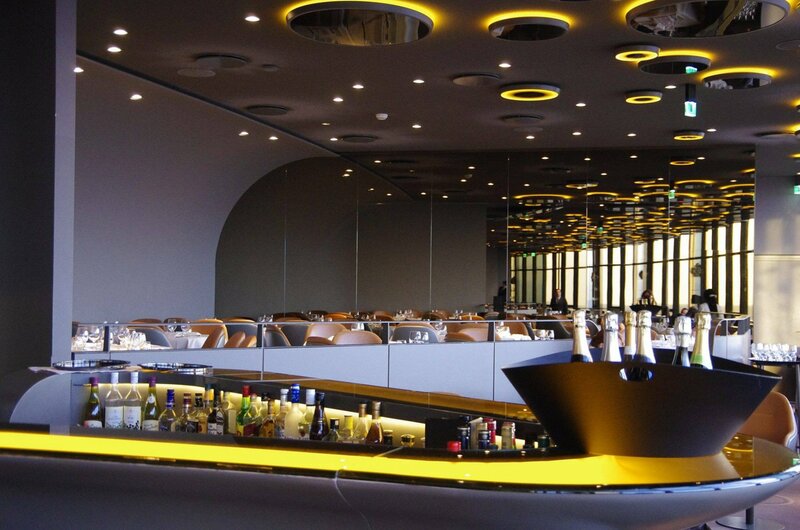 With the ideal gourmet menu, specially created for you by the Chef, enjoy an exceptional moment between pleasure for your eyes and for your taste buds, at Ciel de Paris. 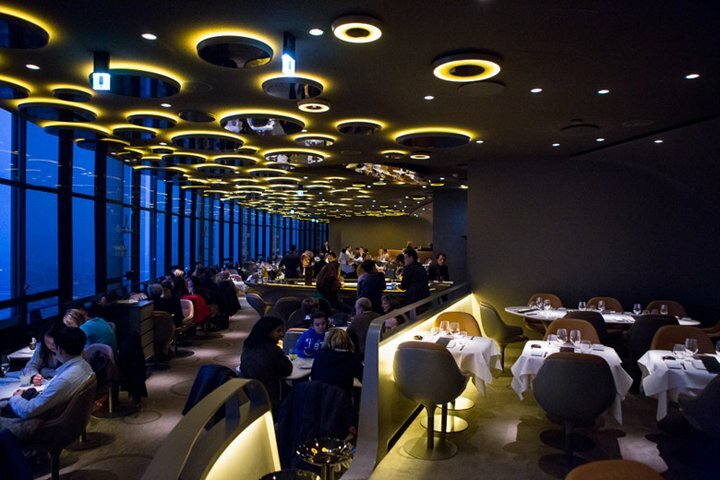 A gourmet journey above our capital.